Voltage ratios from 7200V to 14400V (medium voltage)..
Primary terminals that are fused are 1/4-20 brass screws with one flat washer, lock-washer and two nuts.. Thermal burden rating is for 120V secondaries and the unit includes plated steel mounting base. Fuses have 1.63″ diameter caps and 11.50″ clip centers. 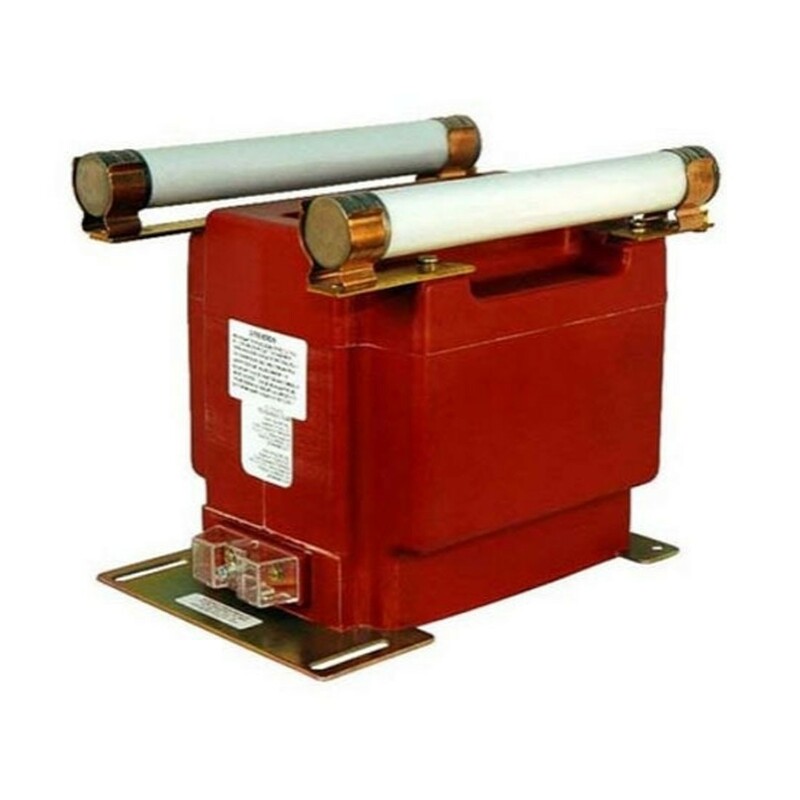 The core and coil assembly is vacuum encapsulate in polyurethane resin. 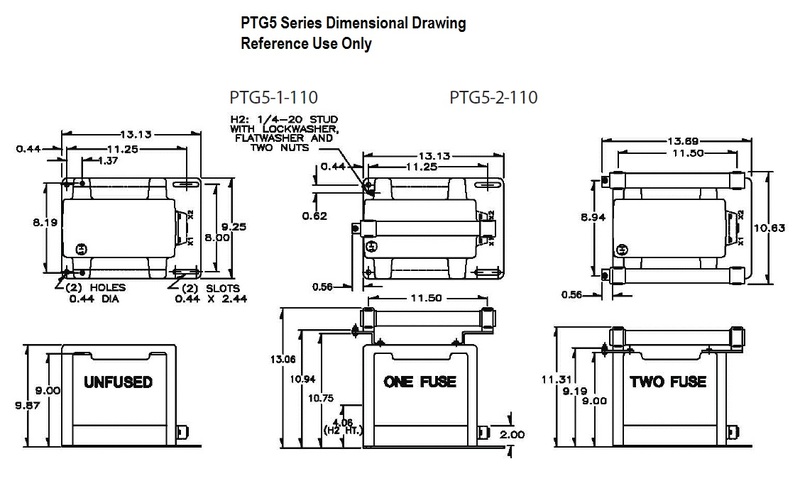 Choose from the PTG5-1-110 series (single bushing) or the PTG5-2-110 series (two bushing).